Hands down then best saltwater install and service company that I’ve ever worked with. I’ve been a hobbyist for almost 20 years. 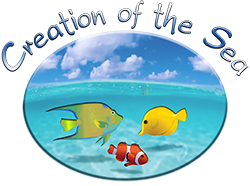 I thought I knew it all, but Creation of the Sea has taught me so much more! My large 500-gallon custom tank is the best saltwater aquarium I’ve ever owned…can’t keep my eyes (and hands) off of it! Love how the ecosystem is all-natural and teeming with sea life! Thank you Creation of the Sea! Best investment I’ve ever made for my home!